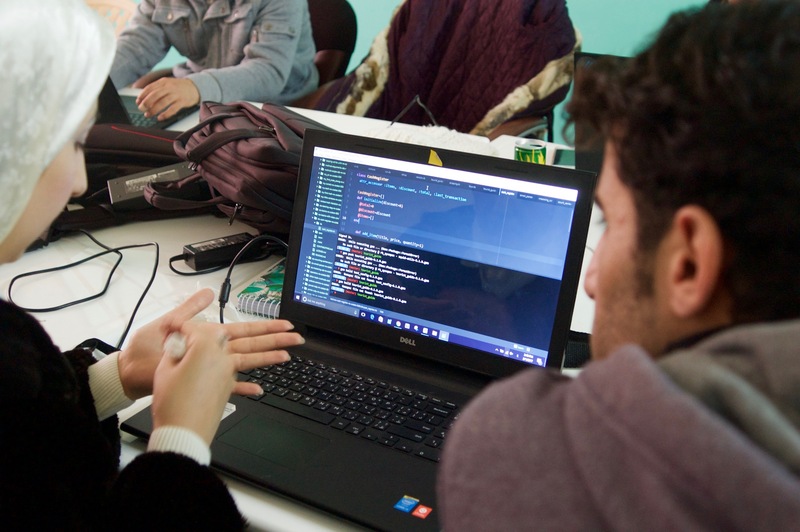 Iraq Re:Coded is a coding fellowship program designed for refugees and displaced youth in Iraq. In October 2017, REFUNITE began a collaboration with Re:Coded, a coding fellowship program designed for refugees and displaced youth in Iraq that leverages innovation and entrepreneurship as catalysts for change. We initially employed five fellows to crowdsource the Arabic translation of our new website, in locally relevant language. We continued this partnership in February with Noor and Fatima, two fellows from the Iraq Re:Coded program. They are supporting REFUNITE with surveys, product testing, translations, and responding to customer queries for our Arabic-speaking users.